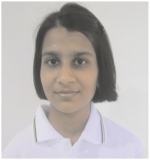 "I am Anusha Mansinghka, A proud student of Resonance Coaching Institute which guided me in achieving success in AIIMS Entrance Exam. This goal would not have been reachable if it were not for my teachers at resonance and so I give the credit for my success to all the faculties especially SPR Sir who had not only taught me but also encouraged me throughout the preparations and my parents and my brother who believed in me and motivated me to achieve this success. " 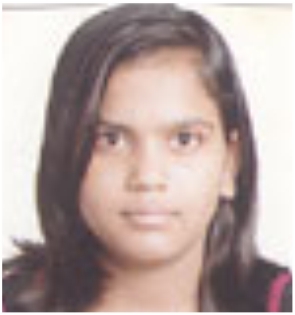 "Cracking AIIMS and achieving AIR-126 was a dream come true..!! I am really very grateful that I got this platform through Resonance, I wish to thank my parents & all the faculty members of Resonance Jodhpur as they helped me see through to the biggest Medical Entrance Exam of India. Full credit of my success goes to the teaching methodology & doubt clearing sessions which played a critical part in my preparations, apart from this the Study Material, DPP's & Periodic Test Paper's really helped in analysis of my mistakes and overcome them. “Resonance laid my path of Success..! " "Resonance is the just coaching institute that I have attended and thanks to them, I have no need to look back. The education Material provided is very good with lots of practice problems. The teaching faculty has really helped in clearing my doubts and strengthening my concepts. Not only that, the study centre provided me with a quiet and peaceful place to study credit goes to resonance and my parents. Now have supported me though each and every step. Thank you "
"I am Ragini Garg, Kota I have got AIR 562. 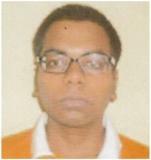 I am very happy that I have get rank under 1000 and I have joined resonance for AIPMT. Teachers are very helpful and ready to clear our doubts at any time use needed. I prefer NCERT and read it Thoroughly a number of times. My family also supported me a lot, especially my sisters have a great role in my success ." "Myself is Amarkant Kumar. 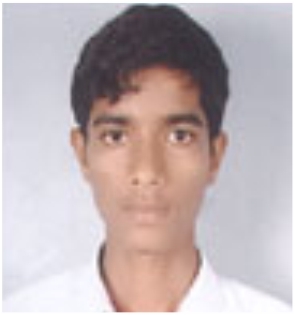 I was student of sankalp (MP) phase. I like to give credit of my success to my parents, Resonance experienced faculty staff (especially SPR Sir) and now academic staff and family to god. All Resonance, Class in full of joy Teachers are so experienced that they make students learn easily. 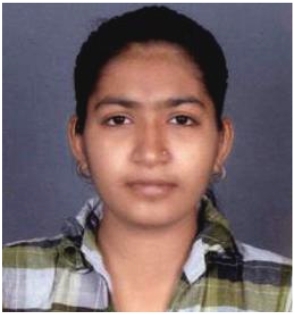 They always motivate students to achieve good ranks in AIIMS and AIPMT"
"I Sanju Kumari, would like to thank my parents for being my first mentors and I own large part of my success to Resonance faculties, there guidance, pain & effort they took to resolve my daily doubts. The study material and regular Daily practice problem that bought the best out of me." "AIIMS AIR Rank 1518, Got admission in AIIMS RAIPUR. I am very thankful to my parents, RESONANCE faculties and my family member for my success. I joined RESONANCE through “SANJEEVANI ZERO FEE PROGRAM’’. Which helped me take admission in such a great institute – ‘RESONANCE’ I got success through 1 year preparation after passing XII, this all possible due to myself study & teachers help. Faculties here like P.G. Sir (physics) AKW & SACHIN sir (OC), RCS sir (IC & PC) really helped me to know how to study and prepare for medical exam. They are very helpful and take care of each student. The types of question .It in DPPS & study materials were also up to marks for practising. Special thanks to my sister SONI KUMARI and brother in law ANAND ARYA .who suggested & helped me to take admission. Thankful to my father R.C. BARNWAL .who supported me. Thanks to all RESO members for giving me such a caring family in a new city KOTA." "I OWE the credit of my success to my parents, grandparents, my teacher, my school teacher and entire Resonance family. Who brought me up to face the challenge of AIIMS 2014. The study material of Resonancehelped me to understand and overcome my weakness proves to be trustworthy as it contains the scrutinized material and question of pervious medical exam. YES, SANJEEVANI is such a very good scholarship for students. Who are financially weeks. 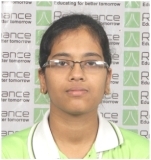 I also thankful to Resonance for providing me very good environment of competition study." "For my success in AIPMT -2014, I would you like to give credit from the core of my heart to my parents, grandparents Resonance faculty specially our HOD-SPR sir, the management staff and god. The material provided to us in form of sheets Dpps, periodic test paper etc. really helped in discovering our mistakes and improving over them .Timely motivation nurturing and attention by our teachers helped us in developing confidence and achieving goals. Our study session at Resonance was full of gaining concepts which helped us to perform better. Moreover the hard-work of our teachers always inspired us to remain focused and give our maximum to studies ." "I OWE the credit of my success to my parents, my teacher and non-teaching staff of institute and Resonance. The faculty members kept me motivated and confident throughout the session the material ofResonance is also upto the make and is more than enough for AIPMT. Being in Resonance was learning something extra within joyful environment never the less the material of Resonance was too good." "I Md. MONIS ALAM heartless thanks to best & supporting faculty of pre - medical Resonance. Also thanks to my parents who really dedicated support and motivated in each & every moment including my some best friends. One thing that I have judged during study in Resonance that there is very interactive and motivating relationship between faculty members and student. Guidance of teacher is so supportive that can feel to achieve a good rank in any medical entrance examination. Resonance material is designed in such a manner that you can feel the depth of concept in a very short interval. Lastly I would thank all my faculty member for their consistence support care and fullfill the dream to become a doctor."